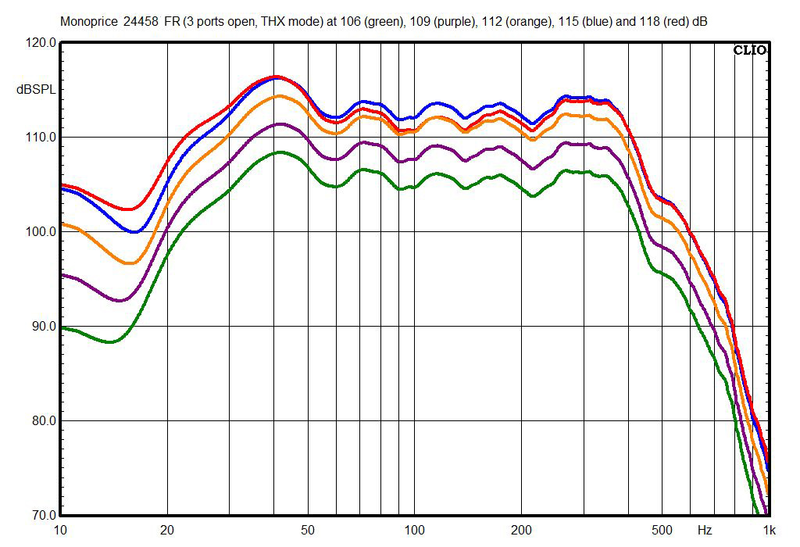 I measured the BasX S12’s frequency response using an Audiomatica Clio FW 10 audio analyzer with the MIC-01 measurement microphone. 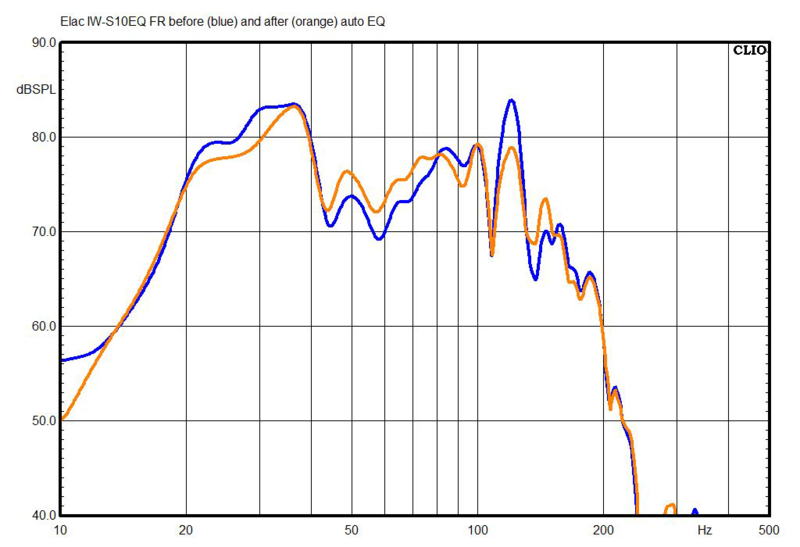 For the frequency-response measurement I used the ground-plane technique, with the microphone on the ground 2m in front of the subwoofer, and smoothed the result to one-sixth of an octave. 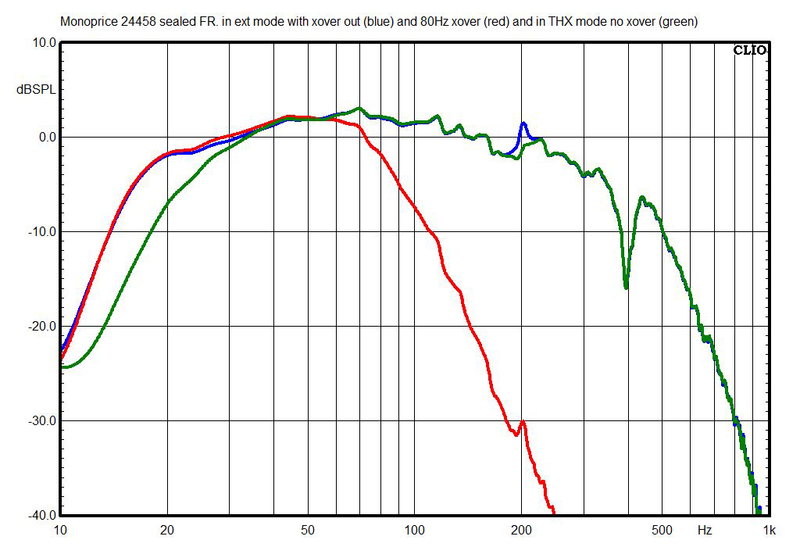 For the power-compression measurement, I placed the mike on the ground 1m in front of the sub. 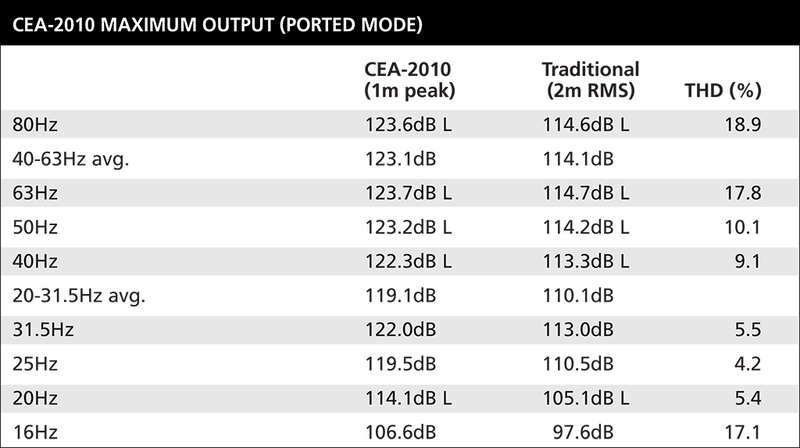 The two sets of measurements presented in the Maximum Output table are essentially the same, just scaled differently to suit the two different reporting methods in common use for subwoofer output measurements. 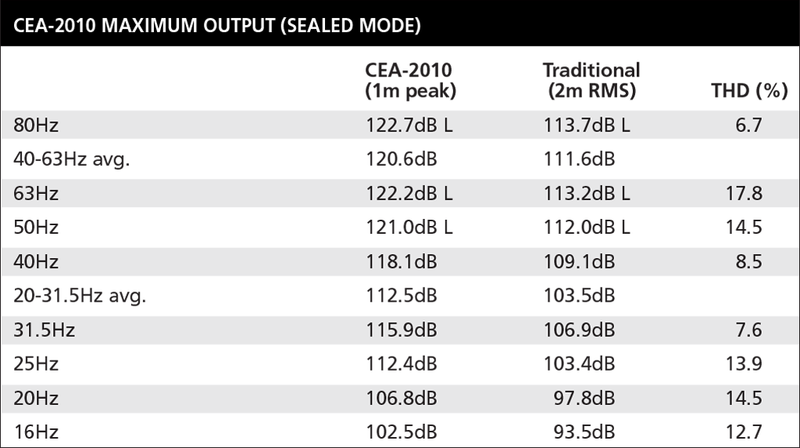 The CEA-2010 standard mandates reporting at 1m peak output, while the traditional reporting standard used by some audio websites and manufacturers reports results at 2m RMS equivalent. 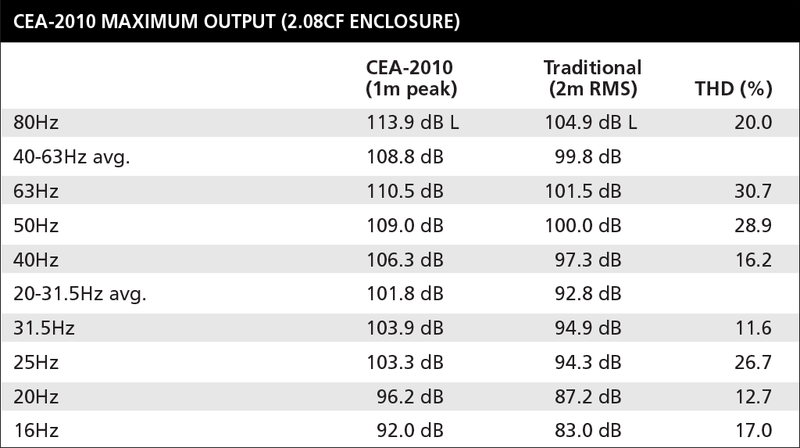 Thus, the CEA-2010 numbers are 9dB higher than the numbers presented under the traditional reporting standard. 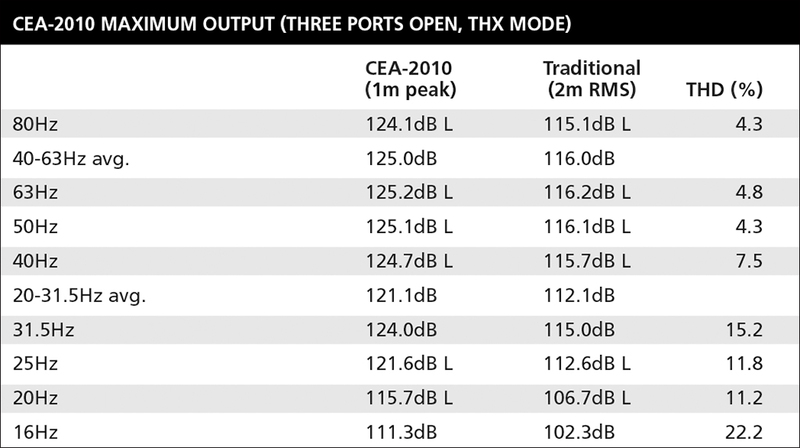 An L next to the result indicates that the output was dictated by the subwoofer’s internal circuitry (i.e., limiter), and not by exceeding the CEA-2010 distortion thresholds. 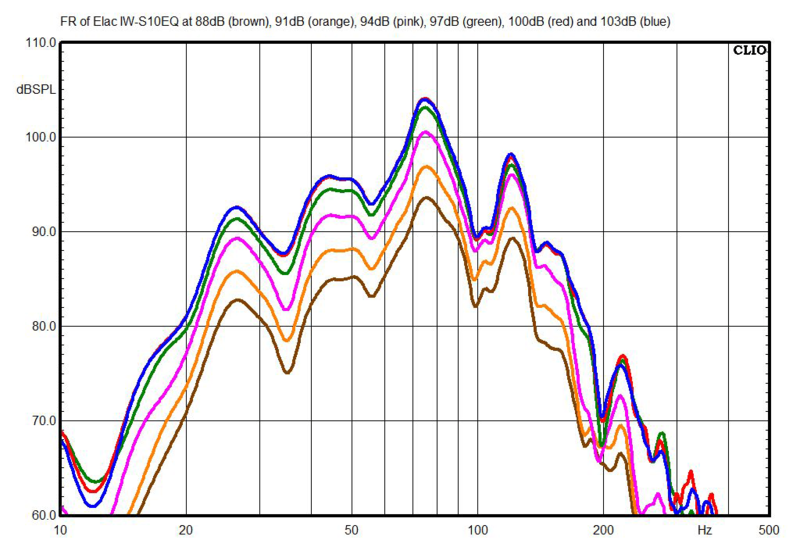 Averages are calculated in pascals. 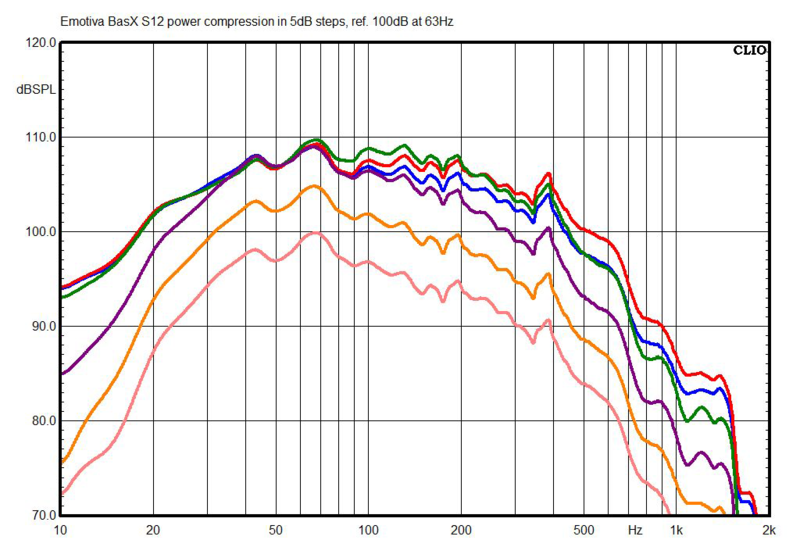 This chart shows the BasX S12’s frequency response with its crossover-frequency control set to maximum and to approximately 80Hz. 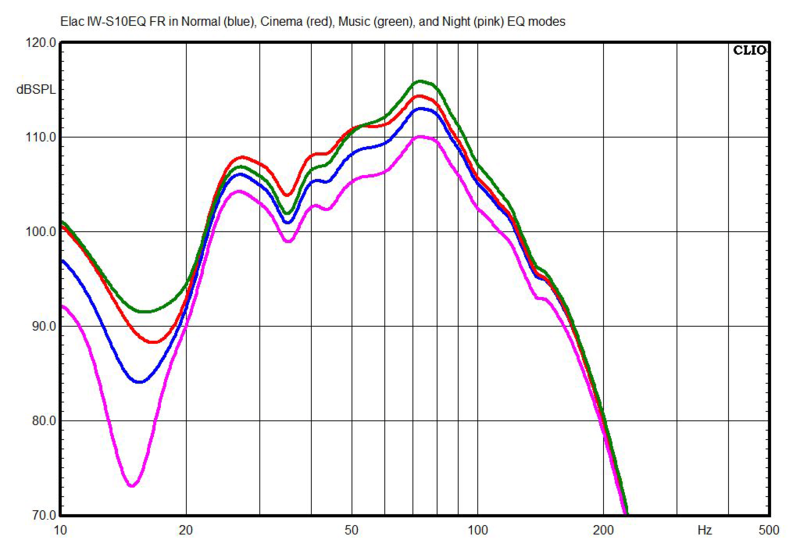 You can see a small peak in the response at about 62Hz. 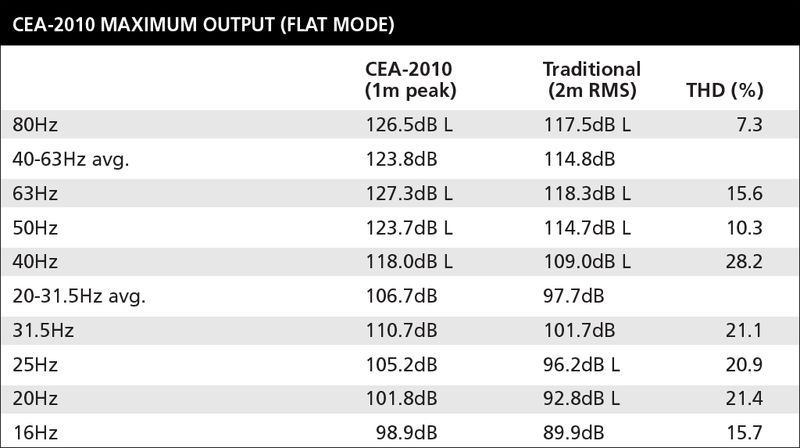 This peak (which also showed up, to a lesser degree, in close-miked measurements) is insignificant; its effects will be swamped by the much larger effects of room acoustics, or possibly eliminated if you use a receiver or surround processor with auto EQ. 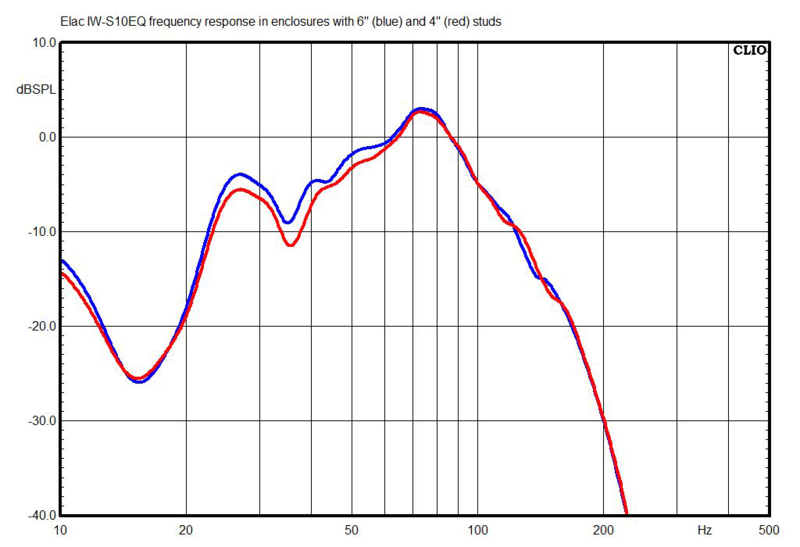 With the peak taken into account, the ±3dB response is 26-119Hz. 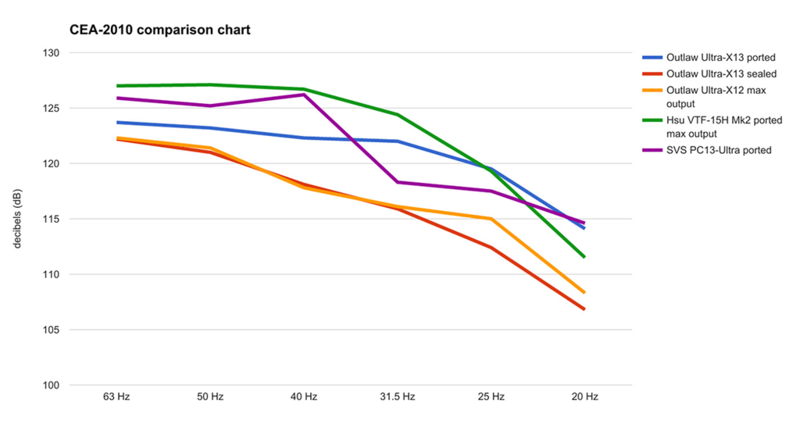 If you ignore the peak, the response is 22-155Hz. 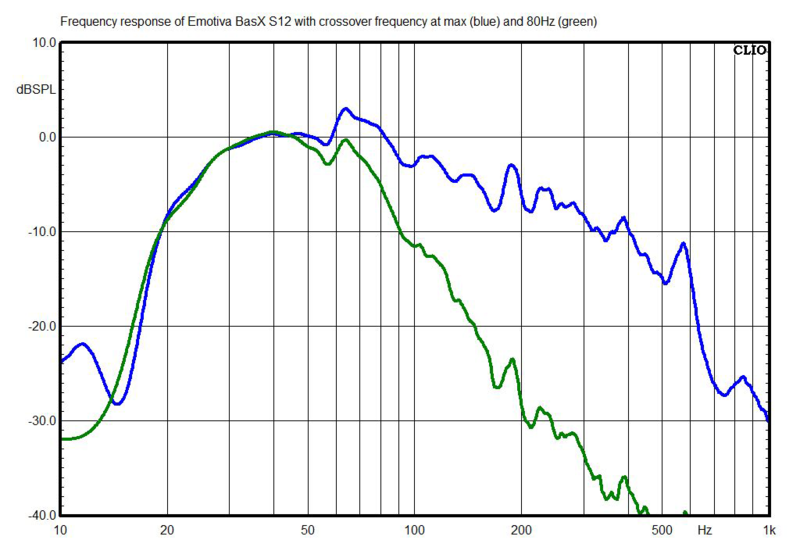 The crossover rolloff is -17.8dB/octave, -5.0dB at the 80Hz setting, which means that this control is more accurately calibrated than most subwoofers’ crossover-frequency controls. 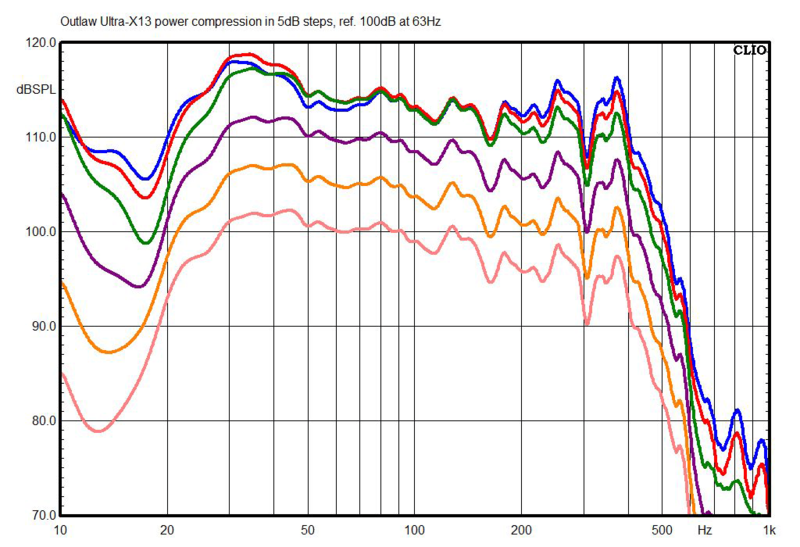 This chart shows how the BasX S12’s frequency response is affected by increases in volume. 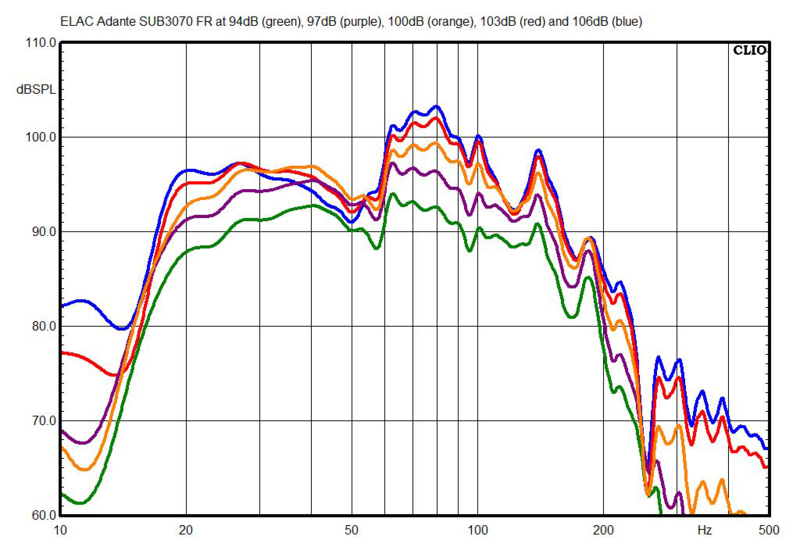 This is an excellent result -- the deep-bass output of most subwoofers is greatly reduced relative to midbass output at high levels. 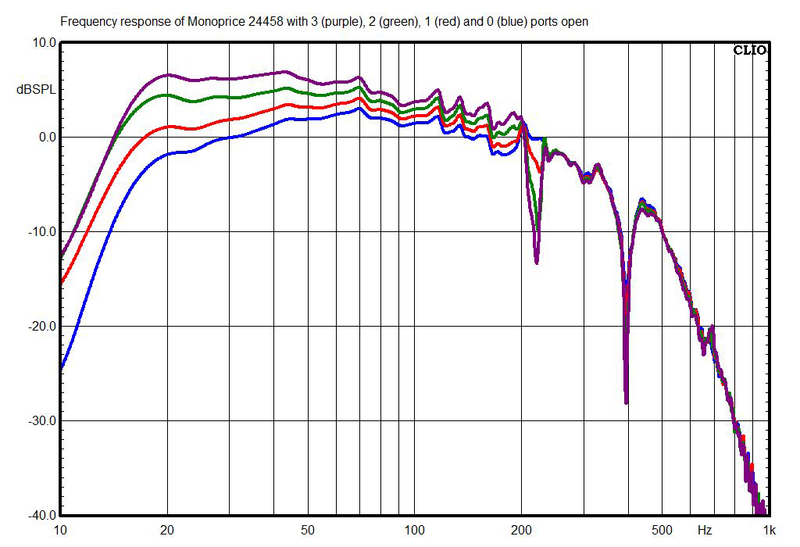 I measured this beginning at 100dB at 1m, calibrated at 63Hz, then raised the level 5dB for each successive measurement. 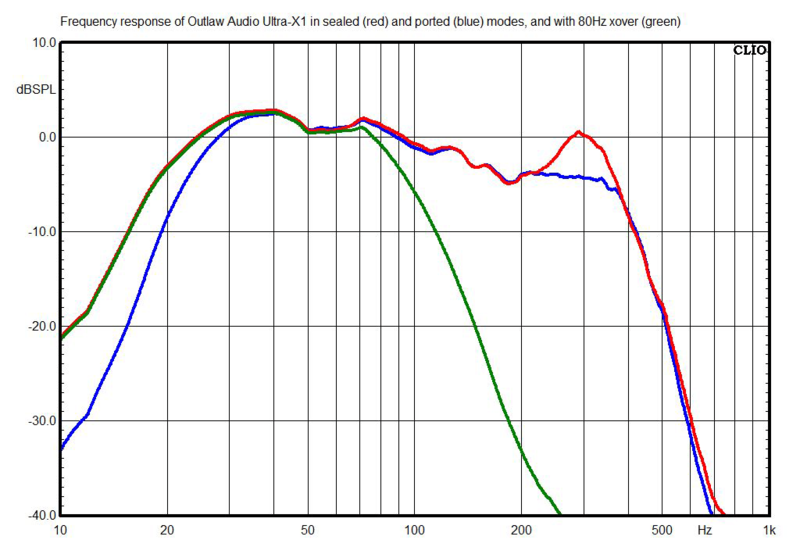 Between 40 and 80Hz the level doesn’t increase significantly once it hits 110dB, though it does rise by a few more dB in the bass. 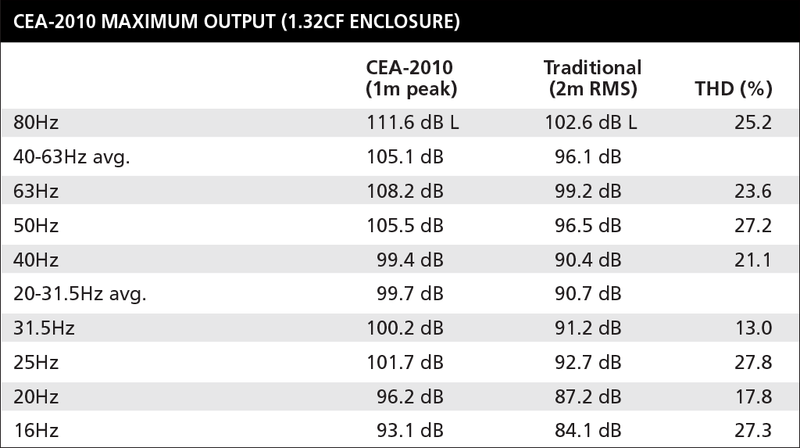 Please note that if you’re used to looking at amplifier distortion specs and haven’t seen subwoofer distortion numbers before, some of these may look high. 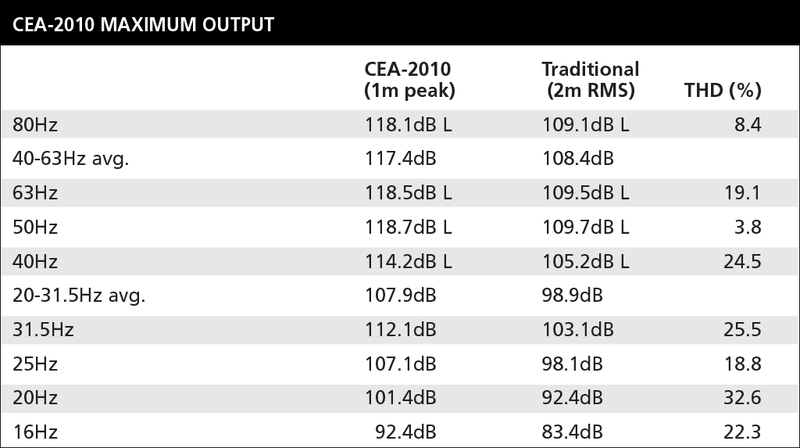 But in loudspeakers, and especially subwoofers, much higher distortion levels are the norm, and typically are not audible. 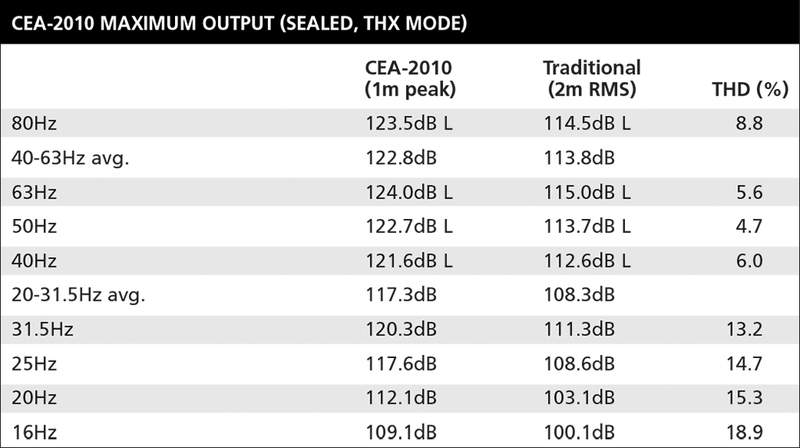 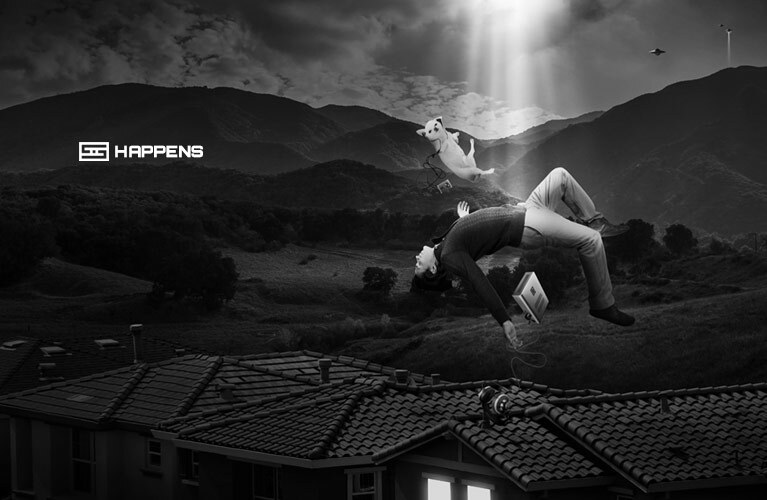 The generally accepted threshold for audibility of distortion in subwoofers is 10% THD, and CEA-2010 thresholds permit maximum distortion of around 30% THD. 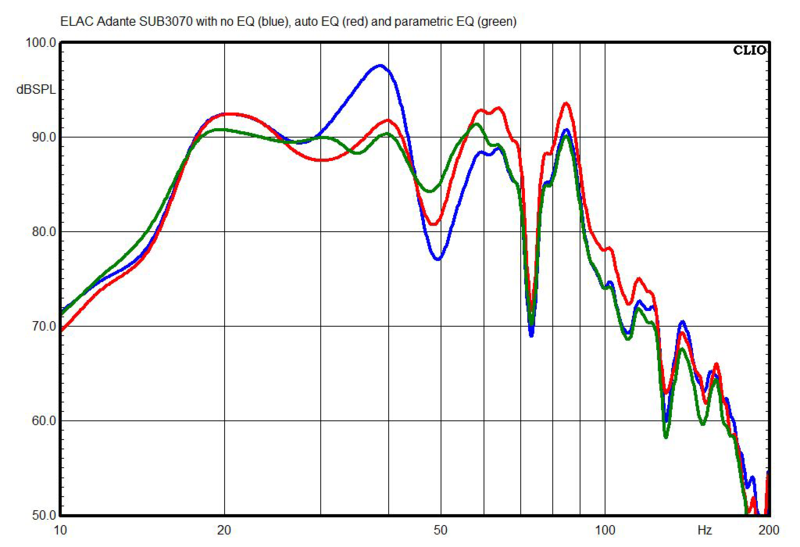 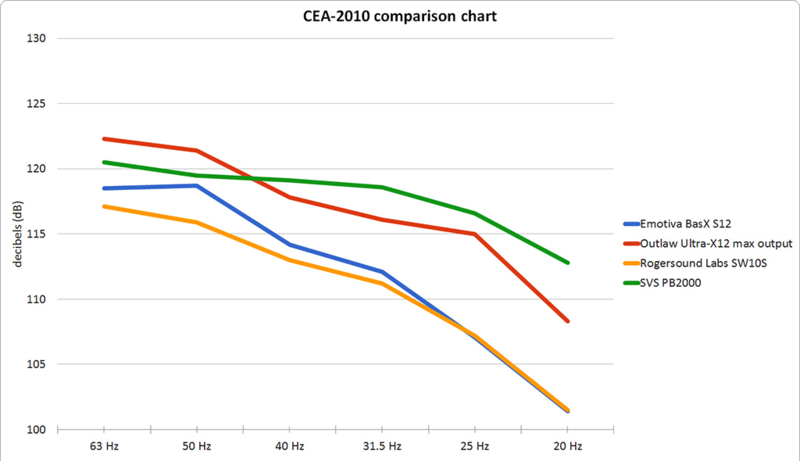 This chart tracks the CEA-2010 results of the BasX S12 (blue trace), compared with three other subwoofers priced in the mid-three-figures: the Outlaw Ultra-X12 (red trace, max output mode, $659), the Rogersound Labs Speedwoofer 10S (orange trace, $399), and the SVS PB-2000 (green trace, $799.99). 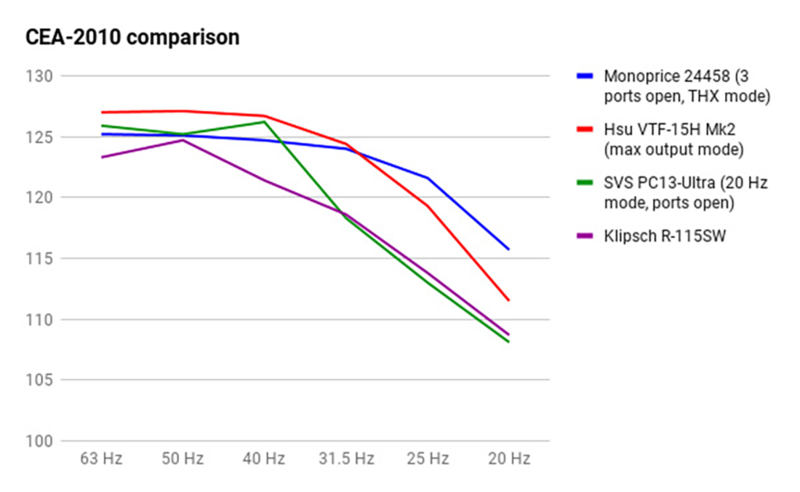 The BasX S12 has 2-3dB more output than the identically priced (but 25% smaller by volume) Speedwoofer 10S in the second octave of bass (40-63Hz), and about the same output in the bottom octave (20-31.5Hz). 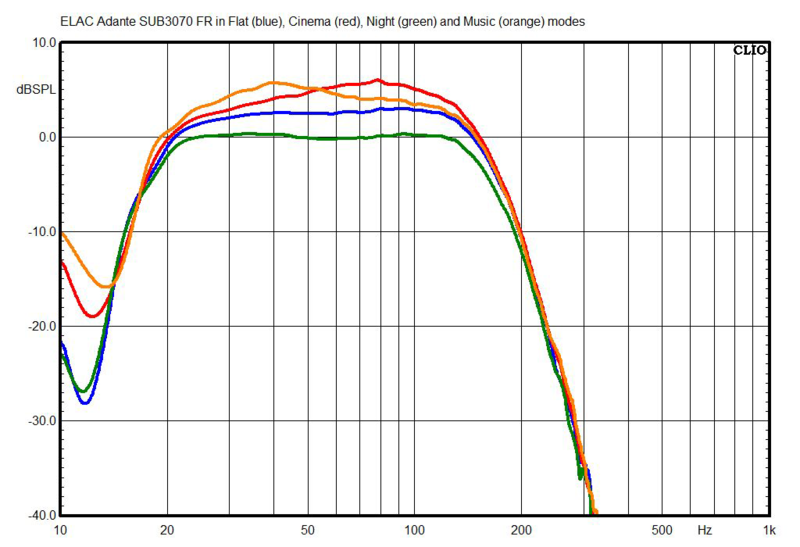 Not surprisingly, the larger, more expensive subs outperform the BasX S12, but one could buy two BasX S12s for the price of one PB-2000.